I love pulled pork, but it is almost always too sweet. This is the perfect recipe with apple juice for flavor and moistness. Remove the string, unroll the pork and pat dry with kitchen paper. Mix the salt, sugar and paprika together and rub half of it thoroughly all over the pork. Keep the other half for later. Roll the pork back up (there is no need to re-tie the string). Heat the oil in a large frying pan, and brown the pork on all sides. Put the joint in the slow cooker, pour in the apple juice and cover with the lid. Cook on low for 8-9 hours, or until tender and ready to pull apart. While the pork takes it time, you can relax. Remove the pork from the slow cooker, wrap in foil and leave to rest for 30 minutes. As the pork relaxes, blend the cornflour with 1 tbsp cold water. Add to the sauce in the slow cooker along with the rest of the seasoning mix. Cook on high for 20 minutes, until thickened slightly. Shred (with the cooking juices) into chunky pieces with 2 forks. 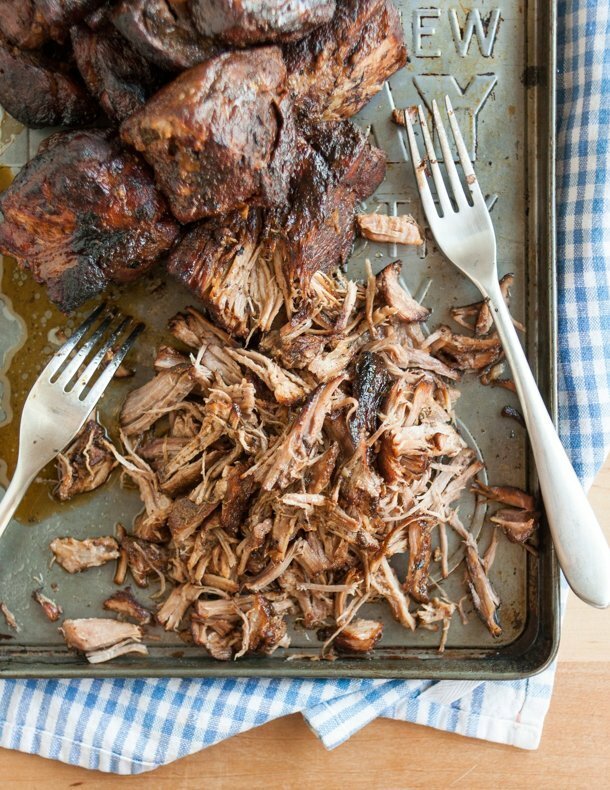 Return the pulled pork to the sauce in the slow cooker and stir well. Serve in bread rolls with coleslaw, potato wedges, corn on the cob or however you like.